very quickly after its launch, reaching number one in the book charts. existence has made him rethink how much time he spends online. with technology, but he also owes it his career. example – which gets people into the kitchen, often for the first time. Enviable abs and photogenic curls can’t hurt. he likes to call ‘midget trees’. Wicks started his working life in a school, but he didn’t enjoy it. ‘It’s a tough job,’ he says of his stint as a PE assistant in west London. to be done in 15 minutes in a school gym. ‘Kids are already on YouTube – they love it – so why not get them exercising on it too?’ he says. food lover to health hero makes him even more relatable. afterwards - I don’t want to exercise and it affects my mood,’ he says. happier when you’re eating well.’ With his daughter, he’s keen to steer her away from fizzy drinks, but doesn’t want to be too strict. 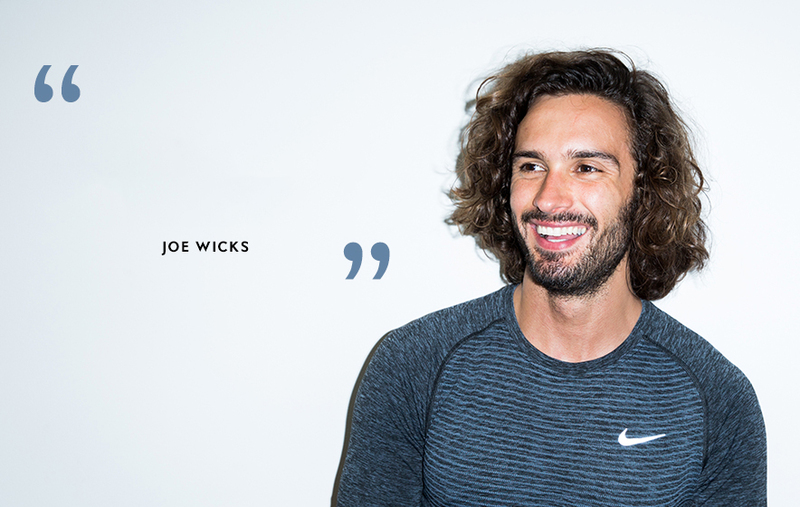 when they dodge a workout or cave in to junk food – that has made Wicks so successful. to make these changes, it’s worth doing,’ he adds. Given his track record, there’s a good chance he’ll motivate a few more than that.